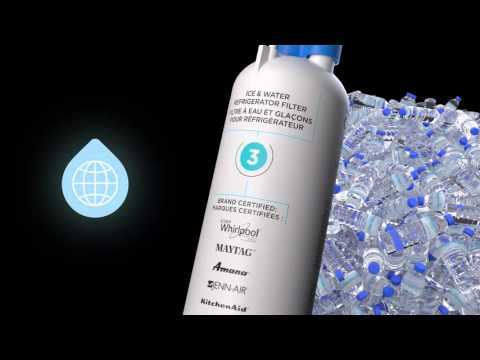 EveryDrop™ Filters ice & water refrigerator filter number 2 for Whirlpool® models. This filter is certified to reduce more contaminants with Triple Filtration™ Technology. 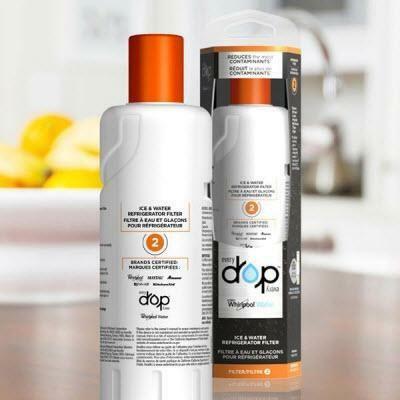 General Information • Reduces 24 contaminants including pharmaceuticals, waterborne parasites, lead, pesticides, asbestos and industrial chemicals (NSF certified). • Replace every 6 months or 200 gallons to ensure clean, safe drinking water. 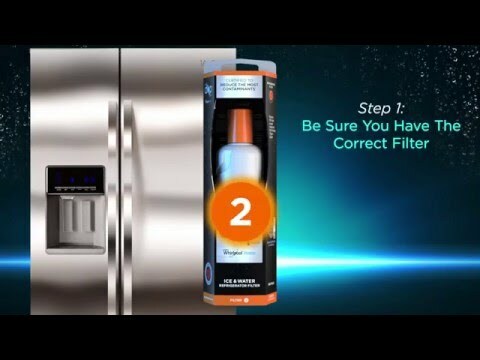 EveryDrop™ Filters ice & water refrigerator filter number 7 for Whirlpool® models. This filter is certified to reduce more contaminants with Triple Filtration™ Technology. General Information: • Reduces 7 contaminants including pesticides, waterborne parasites, lead, asbestos and industrial chemicals (NSF certified). • Replace every 6 months or 120 gallons to ensure clean, safe drinking water.